We are an award winning commercial and domestic decorating company. The company was established in 1996 by Michael McDonnell and Eoin Cullen, between us we have over 40yrs of experience. We are both fully qualified painters and decorators having served 4yr apprenticeships', and passing with distinction from DIT Bolton St. Dublin. A Prompt, Clean and Keenly priced service, finished off to a very high standard. 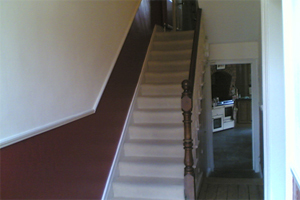 Achieving these high standards isn't difficult given that we only employ the very best painters and our apprentices are fully trained and supervised by myself and Michael. At M.C.Decorators we pride ourselves on our cleanliness; we always place a big emphasis on covering up our working environment before we get started in the morning and then making sure to give a thorough clean up last thing in the evening, including giving the place a right good hoovering. We provide a nationwide service, catering for both interior and exterior work, from a single room in a house to an entire office block, inside and out. M.C. 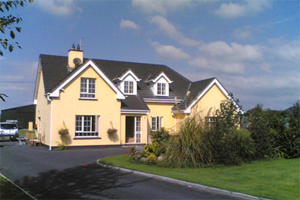 Decorators are members of both the Master Painters and Decorators of Ireland and the Construction Industry Federation. So for all your decorating needs don't hesitate to contact us today, for your free, no obligation estimates.